Interviewer: Welcome to the Parentz Pod, the Arizona baby and toddler podcast from First Things First. I’m Kay Vilay, and our topic for this episode is vision. Young kids take in a lot of information about the world through their eyes, and healthy vision is obviously important for kids when they get to school. So how does vision develop in babies and toddlers? And how can a parent know if their child has a vision problem? We’ll talk about all this and more with our guest, Karen Woodhouse. Karen leads Eyes on Learning, a _____ coalition dedicated to making sure that Arizona children with vision problems are identified early and receive an eye exam and follow-up treatment to achieve better vision health. Karen is an expert in early childhood development, and she previously served as chief program officer at First Things First. We were colleagues for many years. 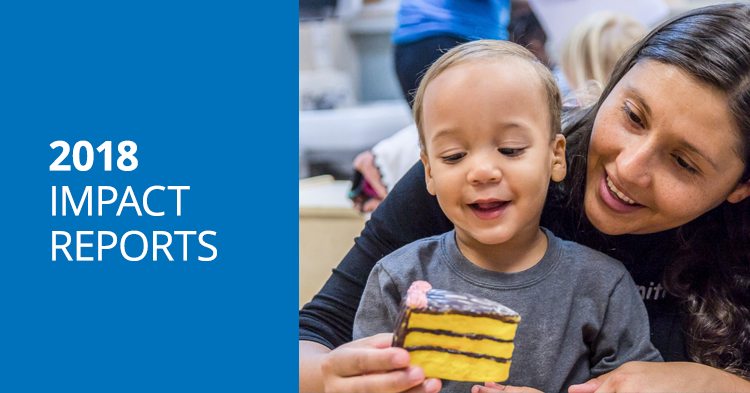 If you don’t know, First Things First was created by Arizonans to support the healthy development and learning for children from birth to age five. I think you’ll learn some things about how you can support your child’s development and health by keeping an eye on their eyes. Hi, Karen. Thanks for coming in today. It’s so great to see you. Interviewer: So great to have you in today talking about vision in particular. It’s another critical aspect of physical development. So we’ve talked in the last few podcasts about early literacy, language development, social/emotional development, how children learn. And of course all of this toward school readiness and how children come into kindergarten ready to learn. I feel like for a lot of parents, and for myself included, we take particularly physical development really just for granted. It just happens. Can you tell us a little bit more about why vision matters in young children? And so they’re taking in all of this information because of their ability to see. Now, that’s not to say that children who are visually impaired don’t learn. They just learn in a different way. But for most of our kids who do have their sight, this is one of the most important aspects of physical development that impacts all of the other areas of their development. Interviewer: Well, admittedly, I think I know a little bit more about hearing when we talk about development. So in particular I’ve heard over time you really talk to your baby before they’re even born. You play them music. And in fact, sometimes the baby in utero will react when they hear voices or sounds coming from the environment. How is that different for vision? Interviewee: Yeah, that’s so interesting ’cause you’re exactly right. When a child’s born, obviously they have vision, but their vision is not yet fully developed. So it’s really different from hearing. Hearing, a child is born with hearing. And that’s why all newborns get their hearing tested in the hospital before they go home. With vision, it would be – it’s not very helpful to test a newborn’s vision ’cause we know right off the bat it’s not developed. However, there are some things that happen in the hospital through the pediatrician or the attending physician for the baby. They’re gonna check to make sure that the eyes are formed. There’s a couple of things that they can look at just to make sure there aren’t any overt instances of visual impairment or problems that might impact that later on. But for most babies, their vision’s gonna develop over the next five years, all the way up until they probably enter kindergarten. Interviewee: And it’s kind of sequential, but there’s a lot of things that parents can do to support that and a lot of things that babies do on their own to help form those connections and to support their visual development. Interviewer: Wow, can you tell us a little bit about that? Interviewee: Yeah. When they’re born, one of the first things that parents can do is to hold their baby close, maybe about eight to ten inches away, which is a perfect – if a mother is breastfeeding and holding that infant and attaching at that point, the infant begins to make sense of what they’re seeing. And eight to ten inches away is a perfect length for a child’s eyes and their ability to start to focus on that. So how wonderful that one of the first things that they can see and begin to really focus in on are their parents right after they’re born. Interviewer: Either mother or father or grandparents or whoever. Interviewee: Any caregiver. Anybody that’s gonna love that baby throughout their life, yeah. It’s really, really important. And like you said, it’s such a natural thing that can happen. And then as that child develops during their first year, the ability to start to see colors comes after the next couple of months. And then by the first year, your baby is able to pick up – their exercising their fine motor skills and some of their large muscles. and opportunities just to see their world. And that’s gonna help them develop their good vision. Interviewer: So what if there is a problem? What are the things that we can look out for as parents? Interviewee: Yeah. And that’s really important, too. As with any instance with a young child, the early that we can identify if there’s any kind of developmental issue that’s going on, and the quicker that we can intervene or provide some supports, the better off for that child. And that helps them get ready for school and learning success. So with vision, a lot of times you don’t know that there might be a problem. There’s no outward sign. and object, like if you have the television on and they’re watching a program. You might notice that they’re sitting closer or standing closer to the television to be able to see. Or if a child turns their head and seems to be seeing out of one eye but not really using the other eye to see. Those are things that are really good indications that it’s important to talk to your pediatrician or go ahead and schedule that child for an eye exam with an optometrist or an ophthalmologist that can see young children. Interviewee: It could be. It could be. Interviewee: It’s better to be safe than sorry and check it out. And again, if this is a behavior that you’re noticing over time and it’s a consistent behavior, that’s a really good indication. Now, there are some things that – some vision conditions that do affect young kids that we have no signs that they’re even there. And one of those is a condition that we commonly call lazy eye. Or the medical term is amblyopia. And what that means is typically one or both of the eyes aren’t working very well. It’s not that there’s a problem in the eye. It’s the problem that the signal from the eye to the brain just isn’t getting read by the brain. There’s something that’s going on there. And if this is occurring in your child, the child’s eyes look normal. They may be looking really well out of their good eye, and so you don’t notice that there’s anything wrong with their vision. But what’s happening is the weaker eye is not being utilized because the brain’s saying, “I’m gonna use that strong eye. It’s a whole lot easier for me to see out of that eye and transcribe these pictures, so I’m just not gonna worry about that weak eye.” And the weak eye loses its function as an eye. And unfortunately, this is a common cause of early childhood blindness. And if we don’t catch that early enough and we don’t treat it, by the time a child is probably seven or eight years old, we can’t do anything to counteract that. But if we catch it early enough through a screening or an eye exam, then we have the opportunity – there’s a lot of treatments that can be really effective. Interviewer: Okay. So it’s really important to pay attention to those little signs. And as soon as you’re concerned, talk to your pediatrician. Interviewee: Absolutely. And I think even before you might have a concern, it’s really important to talk to your pediatrician during a well child visit. Because most pediatricians will do a vision screening on a regular basis during a well child visit. And this could occur even as young as a child who’s 12 months of age. There are some high-tech instruments that are – just look like cameras. And you take a picture of the child’s eye. What we’re doing is we’re bouncing light into their eye. And that tells us a lot about the shape, the curve of the eye, and can give us an indication that there might be some issues that we want to check out through a complete eye exam. Interviewer: Very interesting. I was wondering about that because when I have my eye exam, I have to read letters off of a chart. might have a challenge doing that. They might not be ready developmentally to do that. And so these high-tech instruments, which we call photo screeners, are kind of pricey. So you don’t see them in everybody’s office. But we’re getting more and more of them into physicians’ offices. Can be a really great way to do a vision screening on a child without having to match some shapes or tell you that they see something on a chart on the wall. Now, when a child gets into kindergarten, first grade, that’s when they’re more able to read letters. Or at least they can really do a good job of matching shapes or telling you that’s the shape that they see on the wall. So we go to the charts at that point. Interviewer: Okay. Very good to know. Thank you. So screenings are different by age then. Interviewee: Screenings – the type of screening – the method that we use would probably look different at a – as a child progresses, especially in the years before they reach age five. So a young infant is probably gonna have a screening, but it looks like a doctor is examining the child’s eyes. They’re obviously not reading a chart [laughs] anywhere on the wall. But the doctor’s looking at their eyes. They might shine a light in their eyes. They might see how they track. There’s a number of things that a doctor can do with a very young baby just again to make sure through a clinical assessment that things look good. 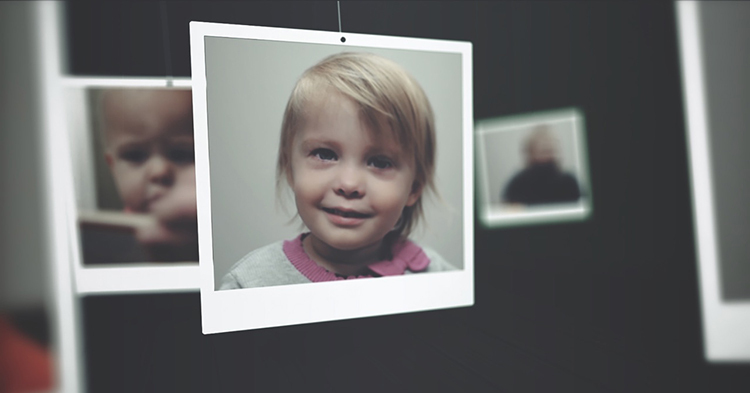 As the child gets older, our screening methods become a little bit more objective and give us a lot better information about that child’s ability to see. Interviewer: Okay. So even as a parent if I’m not picking up on that or I don’t have any concerns, a pediatrician or the family doctor might see something. Interviewee: Yeah, yeah. This is one of the best things that a parent can have a conversation with their family doctor or their child’s doctor, be it a primary care physician, whoever it is that they see for their child’s healthcare. Because for a lot of kids, this is the best way, especially those that aren’t in school yet, for us to know if there might be something going on with a child’s vision. So having that conversation with your doctor, making sure that they are doing a screening during the well child visit, one of the very best ways that parents can supports their child – their child’s vision development. doesn’t bring up vision or vision screening? What can parents do or say during a well child visit or otherwise to bring that to their attention and get some screenings done? Interviewee: Parents are in a great position to have a conversation or ask a question of the doctor. Kay, so much goes on now during a well child visit, and doctors are under pressure to get everything done. And parents, they’re trying to keep their kids [laughs] happy and sane during this well child visit. But some doctors may feel like they don’t have time to do a vision screening or have that done. And I think it’s really, really important that parents bring that up with the doctor. Have the knowledge to be able to say, “Hey, I know it’s really important, and I want my child’s vision screened.” Or, “I noticed – I didn’t see that my child’s vision was screened today. Talk to me about that because I think it’s really important.” So there are cases where doctors are not necessarily doing vision screenings during well child visits. And it doesn’t need to be during every well child visit. I need to make that clear. Interviewer: So you can just ask. Interviewer: Great. Wonderful. So another great reason why you should be going to well child visits. the importance of that. But it’s a great opportunity for a parent or a caregiver to have that conversation with their child’s doctor. Interviewer: So if something’s identified, what happens then? Interviewee: Yeah. Well, in most cases what will happen is the doctor – the child’s doctor will recommend that the family follow up with an eye doctor. And that could be an optometrist or an ophthalmologist, either one. But they may also indicate that this child has lazy eye, or this child has another condition where their eyes don’t align very well, which sometimes we call that cross eyes. Sometimes the eyes can be focused outward. The medical term for that is strabismus. But that’s a really important condition that we want to pay attention to. And then sometimes a child may be nearsighted or farsighted, and we start to pick that up, again, when they’re young. And we can do some correction for it if it’s indicated. But an eye doctor would be the very best person to tell us what the best treatment plan is in consultation with the child’s parents. Interviewer: Okay. So it’s really important to do the follow-up then. Interviewee: Absolutely important to do the follow-up. Screening without the follow-up, we’re not really doing anything to benefit that child. Interviewer: And where can parents get more information or help? Interviewee: Well, there’s – I think their pediatrician is a good resource. There’s also a couple of sources online. And I’m gonna tout one with the initiative that I work on, Eyes on Learning. So http://www.eyesonlearning.org, our website, is all about helping parents understand a child’s vision and how a child’s vision develops, what they can do as parents to support that, and what they can do to obtain a screening and follow up if a screening indicates a problem. So there’s an opportunity to find an eye doctor. We have a little search engine that will take you to a place where you can search for an optometrist or an ophthalmologist nearby. We have information on what different insurance plans will cover. If a family is enrolled in Medicaid or a child’s enrolled in Medicaid or AHCCCS here in Arizona, all vision services are free. And that’s from the screening to the eye exam to treatment. Absolutely free for that child. If a family has a different kind of insurance, an employer insurance, or a private insurance, many of them will cover vision services for children, but you have to check with the plan. And then finally, if a family has an insurance plan on the federal marketplace through the Affordable Care Act, all children are required to be covered for vision services. Now, the family may need to pay a copay or a deductible for those plans. It’s not as free as Medicaid is or AHCCCS. However, my point is that most insurance plans that cover young children do include children’s vision services as part of the plan. Interviewer: Good to know. So not a barrier to getting services, then. And if a family feels that there are additional barriers, perhaps transportation or location, again, the website can be a very valuable resource for information. And there are also some financial resources. So if a family does have an insurance plan, but they do have to pay a copay or a deductible, there are some programs available that can support that family and provide a free eye exam or treatment. Interviewer: Great. All kinds of resources. Interviewer: So Eyes on Learning. In addition to that, First Things First also funds several developmental and sensory screening programs around the state. So for example, here in Phoenix we have several grant partners that are implementing hearing and vision screenings much in the same way that you described. So again, lots of resources for families to access and just keep their kids healthy and ready to learn. there’s a number of places that they can get a vision screening. And so of course we’ve talked about their doctor’s office, the child’s doctor’s office during a well child visit. You’ve also talked about the programs that First Things First funds, and that’s home visiting programs. They will do some screenings that are supported through First Things First and Head Start programs and preschool programs, childcare programs. And sometimes in community fairs, like at the local library. Interviewee: There might be a screening program available. All of those are really, really good. And then from there what we’ve talked about but I want to just hammer home is the real importance of a family then following up and getting that child – if it’s indicated, getting that child to a complete eye exam and through an eye doctor, either an optometrist or an ophthalmologist, and following through with the treatment plan. And knowing that, again, a child may appear visually very normal. They can see the Cheerio on the floor. They can pick up the block off the floor. But they may be only using one eye. They may be straining to still see that, and we don’t yet see that strain or that stressor on them. It’s just really important that we support their vision development but also look for opportunities to see that it’s developing normally. And that’s why screening can be so important in any of those settings that we’ve mentioned. Interviewer: Thank you, Karen. So again, vision is really important and is a critical area, particularly physical development. And certainly it lends itself to school readiness. Once a child gets into kindergarten and beyond, they’re reading all kinds of different materials. So whether they’re books or the smart boards in classrooms, even looking at screens and reading off of screens, and writing and doing some writing in worksheets and what have you. But how does that impact our overall development? Why is that critical in that piece? as we’ve talked about, kids develop through their experiences in the world around them. And this impacts their social and emotional development. It impacts their cognitive development, their thinking development, their ability to regulate. They can get so much of their world through seeing it and therefore experiencing it. And we talk a lot about the context of when they’re hearing language or they’re hearing emotions in a person’s voice, they’re putting – they’re not just hearing that and seeing perhaps the face and the voice, where the voice came from, but they’re putting together what that face looks like and how those words sound to them. that their visual system is working to max capacity to allow them to be able to experience their world around them and then get everything from that interaction. They get all the context. And this is so important as a child’s beginning to acquire language and reading because part of reading is putting meaning together with a word that they heard. And so if they can experience when somebody’s talking with them, they might be pointing to something. They might be just in that space. And so a child begins to put all that information together. We know how quickly those synapses and those neurons and that network is developing that child’s brain. So the ability to see all of this and put that context together really helps them make sense of their world. Interviewer: So the body language, the facial expressions of whoever’s speaking, talking, reading. Interviewee: All of that, all of that. Or seeing far away. Kids playing or the tree in the park or down the street the sign. All of that comes into play when they’re hearing somebody or just seeing it. They begin to put things together. And this is gonna help them develop, have a really rich early childhood, and again, be just as prepared as they possibly can when they get ready to go to school. Interviewer: So vision, again, another part or piece of development, but really working as a whole in that child developing and growing with all of those pieces and parts working together. Interviewee: Absolutely, yeah. And if we think about what we can do as the adults in a child’s life, the fact that the visual system is so important in their learning and preparing them to go to school, but also the fact that this is a really easy intervention when you think about it. Now, I don’t want to take away from the fact that some kids may have some more complex visual issues. That’s certainly possible. But for most kids it’s a very easy screening, a very easy eye exam, and a very easy intervention, relatively low-cost comparatively to a lot of other things that we talked about in a child’s life. And yet this is the – one thing that we could really do to support their optimum learning. Interviewer: Great. Great, thank you. All right. This is the things you can do part of the Parentz Pod, when we talk to you about how you can connect with programs and services in your Arizona community. To get more information or to get some one-on-one support. To learn more, go to the Eyes on Learning website at http://www.eyesonlearning.org. As Karen just talked about, there is a lot of very useful information, and it’s presented in a way that makes it easy to know what you can do if you’re concerned about your child’s vision or if you just want to know what you can do to help your child’s vision develop. In particular, check out the resources section for the Path to Healthy Vision flyer and other great tools you can use. And First Things First funds vision and hearing screenings provided by our grant partners in many parts of Arizona. Visit our website to find developmental and sensory screening programs and services available near you. 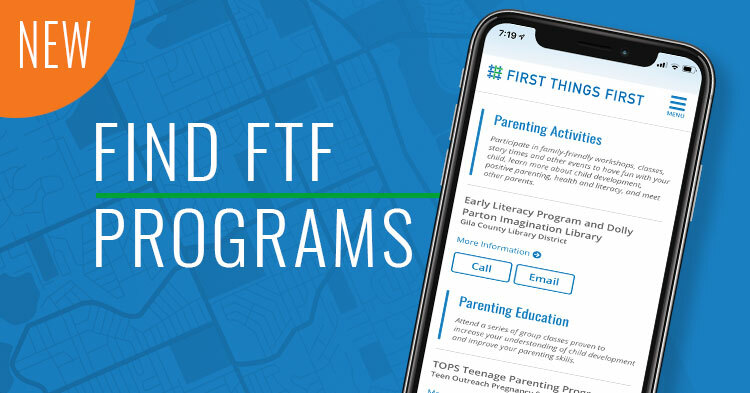 You can find out more about all the different programs we fund, parenting, child health and development, and quality childcare and preschool programs. Go to http://www.firstthingsfirst.org. The Parentz Pod is brought to you by First Things First. 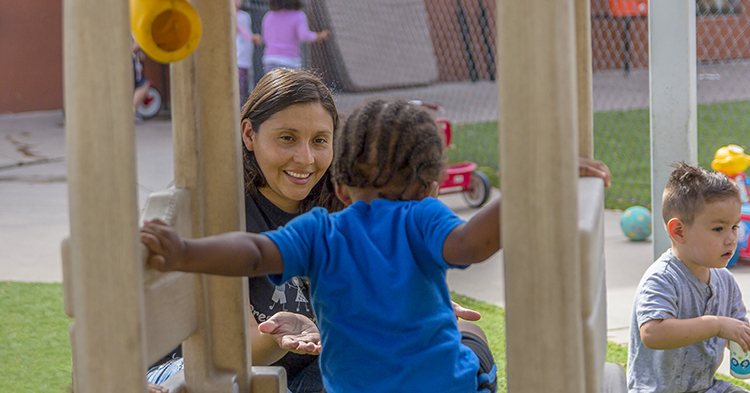 First Things First is committed to supporting the healthy development and learning of Arizona’s kids from birth to age five so that more children arrive at kindergarten ready to succeed. Visit us online at http://www.firstthingsfirst.org.